Board of Directors - High Desert Leapin' Lizards, Inc.
High Desert Leapin' Lizards, Inc. is governed by the Board of Directors who establishes overall policy providing direction to the various programs. The Board of Directors is the primary and legal authority of High Desert Leapin' Lizards, Inc., deriving its powers from the Articles of Incorporation. All other committees, councils and taskforces receive their authority by delegation of this board. Professional staff members serve as assigned by the Board and give appropriate leadership to carry out the work of the non-profit, implement the policies of the organization, help achieve goals and objectives. Staff and volunteer leaders work jointly to meet the goals and corporate objectives of the Association; this relationship is reflected in policy formulation, determination, interpretation, and execution. Linda has been working in the early child field for over 30 years all in the Ridgecrest area. She holds an associate’s degree from Cerro Coso Community College as well as a Bachelor’s and Master’s in Education with an emphasis in Early Childhood from Cal State Bakersfield. She teaches early childhood education classes for Cerro Coso and is a substitute teacher for Sierra Sands Unified School District. Linda has been married for 42 years and has three adult children. In addition she is the proud grandma of 4 grandchildren (1 boy and 3 girls). In her spare time she likes to camp, read, crochet and spend as much time as possible with her grandchildren. In addition to serving as President of this Board she has been a member of the Early Childhood Council of Kern since 1998. She also serves on both the Kern AEYC and the Eastern AEYC Boards. Sally Valiton taught various elementary grades in Sierra Sands for 25 years. She retired in 2009. Currently, she enjoys travelling with her husband, Don, reading, and painting. Cassie O'Neil has been working with the State Preschool Programs since June 2005 and has been the Site Supervisor for the Faller State Preschool for High Desert Leapin' Lizards since 2007. Cassie completed her Bachelor's degree in Psychology from Hope International University and holds a Child Developmnent Site Supervisor permit through the California Commission on Teacher Credentialing. She further completed additional Early Childhood Development courses through Cerro Coso Community College. Cassie has said that she enjoys "helping kids reach the next stage of their lives and become stronger students throughout their educational years." 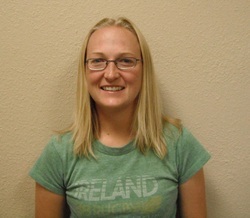 Cassie is responsible for the planning, training and supervision of the Faller State Preschool Program year-round. This year, High Desert Leapin' Lizards lost a friend, a sister, and a valuable member of our Board of Directors. We are grateful to Margaret for her years of service.